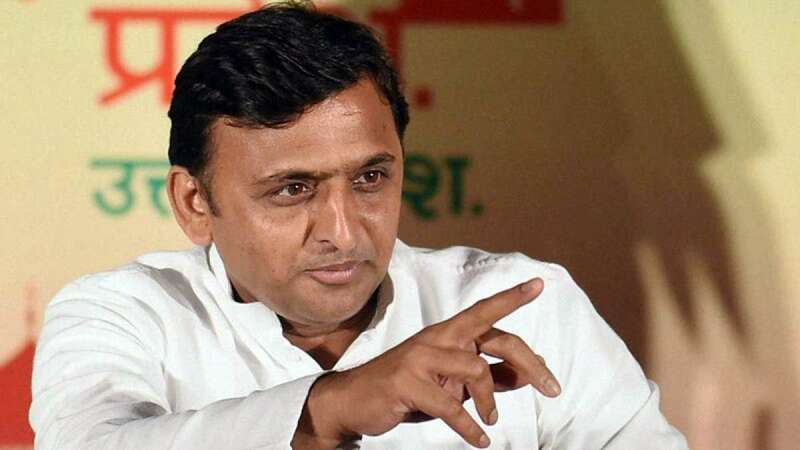 Lucknow : In an anti-climactic development for its political rivals, the Samajwadi Party on Saturday revoked the expulsion of Chief Minister Akhilesh Yadav and Ram Gopal Yadav. Only hours earlier, on Friday, both were ousted from the party for six years on charges of indiscipline and anti-party activities. The decision to revoke the expulsions was taken soon after meetings to broker peace between SP chief Mulayam Singh Yadav and his son Akhilesh Yadav were held at the senior Yadav's 5 Vikramaditya Marg residence here. After a closed-door meeting between Mulayam, Akhilesh, minister Azam Khan and state unit chief Shivpal Singh Yadav, orders were issued to withdraw the expulsions with immediate effect. The Samajwadi Party soon removed the expulsion letters of both Akhilesh and Ram Gopal from its website. Shivpal Singh Yadav, who is Akhilesh's uncle, said the SP will fight the 2017 assembly elections unitedly to defeat the communal forces. He also said that a new list of party candidates would be discussed and released later on. Shivpal, who was backing his brother Mulayam Singh in the party infighting, said all was now well within the party. Earlier, a meeting of party MLAs was called by the Chief Minister where almost 200 legislators turned up, signalling that Akhilesh enjoyed the support of a majority of party legislators. Following a poor turnout at its own meeting, the Mulayam camp cancelled it and Urban Development Minister Azam, who is one of the founding members of the party, began brokering peace between the warring father-son duo. Azam Khan was sent to the Chief Minister's camp with a message that he should show some flexibility. Soon, Azam Khan drove back to Mulayam's residence along with the Chief Minister. Akhilesh reportedly touched Mulayam's feet and said he wanted to gift him an electoral victory in the state. "The two got emotional and the stage was set for Akhilesh's return to the Samajwadi Party fold," a source told IANS. Mulayam was reluctant to take back cousin Ram Gopal Yadav, but yielded after persuasion by his son. Mulayam, however, stood his ground on senior party leader Amar Singh's retention in the party. The SP supremo, a former Chief Minister and ex-Defence Minister, refused to throw Amar Singh out of the party, as demanded by Akhilesh. Yadav senior reportedly wondered aloud what wrong had Singh done to the Chief Minister. The opposition Bharatiya Janata Party and the Bahujan Samaj Party, however, accused the SP's first family of enacting a drama to take public attention away from the real issues.